I can’t remember how old I was when I first saw Gone With the Wind. All I remember is being little and being enthralled. Just a small part of my path of falling in the love with the South. In that case, it was the dresses. I loved the hoop skirts. And it gave one of the most iconic lines in all movie history. 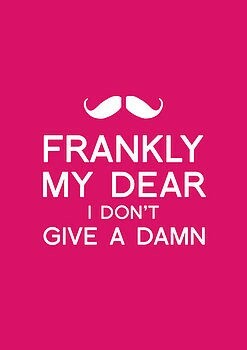 “Frankly my dear I don’t give a damn.” And I use that phrase all the time. How can you not?